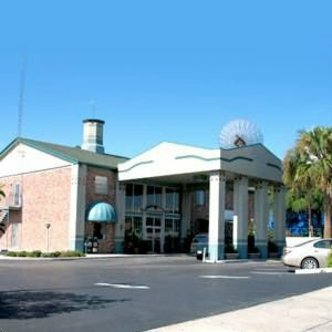 The Best Motel formally Super 8 is centrally located between Tampa and Orlando in Lakeland the Central Florida Lakes District we are just miles away from the Historic Down Town Lakeland featuring the Lakeland Antique District, Explorations V Childrens museum, Hollis Gardens in Historic Lake Mirror Park, the Historic Polk Theatre as well as restaurants such as Harrys Seafood Bar and Grille, Mitchells Coffee House, Crispers, as well as a host of others. We are a short distance away from Joker Merchant Stadium the Florida Air Museum at Sun Fun, Fantasy of Flight, The Polk Museum of Art, Auburndale Motor Speedway, USA International Speedway and the Lakeland Center which host events such as high school state wrestling, boys and girls basketball, baseball and softball championship tournaments, square and round dancing and much more. Also close by is the Lakeland Regional Cancer Center, Lakeland Regional Medical Center, Watson Clinic, Southeastern University, Florida Southern College, Werner College, University of South Florida and Polk Community Colleges Lakeland Campuses. We are approximately twenty minutes away from the Florida State Fair Grounds, and the Plant City Strawberry Festival, Cypress Gardens Adventure Park, and Polk Historic Museum. Close to nearly thirty or more beautiful golf courses and country clubs we are perfectly located for your convenience. Our hotel offers newly renovated rooms with a 24-hour front desk at affordable rates offering special group rates tailored to fit your needs.